DraftKings and StockTwits are teaming up. 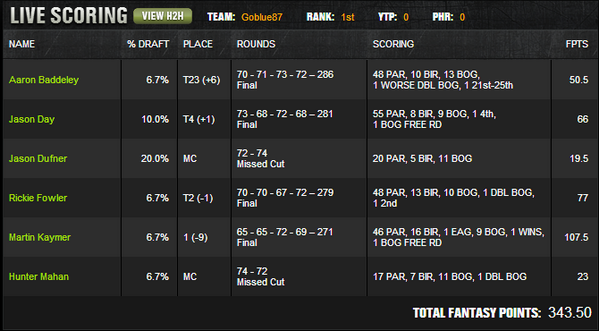 You thought stock picking was hard, but picking winners in golf has been even more difficult lately. Martin Kaymer? He’s the $CYNK of the golf world. Well StockTwits is never one to back down from a challenge so join the crowd in picking a British Open winner. The contest is open to 50 people and it officially starts on Thursday. We are hoping to fill it with StockTwits members, traders, and investors. It costs $20 to join and there are prizes to win. If you join our contest, make sure you let us know. Simply reply to @StockTwits and @HowardLindzon. We are keeping a list of all StockTwits members that are playing and we want to hear from you.